So how long have you had your current headshot for? Unfortunately, we do all get older, and that means we change a little bit each year. Your headshot however, needs to look like you do now, so that you are recognisable – not look like you did 20 years ago! You don’t want people to think ‘Oh she’s aged lots’ when they meet you in real life, do you?! So if it was taken more than two to three years ago, it’s time for a new one! Be honest about your age, and your experience, rather than mislead your customers. Was your current headshot taken when you were just starting out with your new business, and you had no money for a professional headshot? If it is a selfie, or taken by your partner or friend, rather than a professsional photographer, then it is definitely time for a new one – and a professional one at that! You need to show you are serious about your business, and look the part in your headshot too. Has your hair changed colour, grown out, been cut much shorter, or now in a totally different style to your current headshot? Then it is time for a new one! You need to be recognisable remember? I’ll include beard/moustache changes for the men here too. It’s time to be a little personal. Have you gained some weight recently, or lost lots? Either way, it usually affects your face shape too, and means that it is time for a new photo. Is the style of your current headshot current? Is your once-trendy clothing now drastically out of date, or (especially if #1 is also the case), is the style of the photograph now no longer on-trend? For example some time ago, black and white headshots were everywhere, but now not so much. Like an updated website, an updated headshot shows you are current and keeping up with your business. As you can see, the rule of thumb is to ask yourself if you look any different now, than in your existing headshot. And if you do, it is time for a new one! I could also add, if you are bored with your current photo, why not refresh your website and social media profiles with a new one, or if you just don’t like it anymore, get on and sort out a new one! 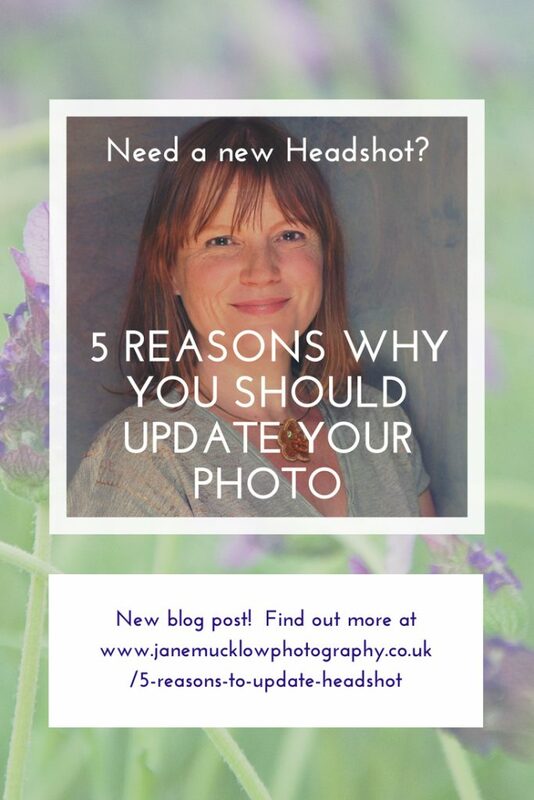 Have a look at my Headshot Info page and let me know if it is time we updated your profile photo. Or even if you fancy a whole set of personal/business branding portraits including new headshots to use too. The headshot examples in this post are all taken from the photographs I took at the Kent launch of the networking group Girl Tribe Gang at Fego in Sevenoaks, summer 2018.